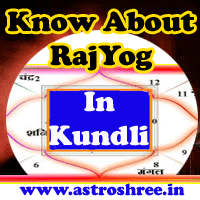 Adhi Yoga In Astrology, how adhi yoga form in kundli, benefits of adhee yoga in horoscope, astrologer for horoscope reading. 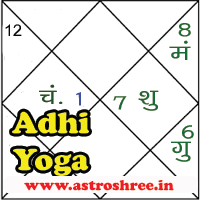 If good planets are present in 6th, 7th and 8th house from Moon then "ADHEE YOGA" form in kundli Or If good planets are present in any of the above houses then Adhiyoga form in horoscope. This adhi yoga is a very good yoga and make life successful. This adhi yoga makes a person humble. This yoga gives a self confidence which is necessary for success in life. The person get luxurious life. This adhi yoga makes a person enemy dominating. This yoga also make person healthy. So overall adhee yoga is a very good yoga and make the person successful in life. So if this yoga is in horoscope then definitely person will get success in life. If planets are not so strong then by using gems stone, prayers one can make this yoga stronger and make life successful. ज्योतिष मे अधी योग क्या होता है ?